Monday - Friday 10:00am-5pm EST. -LIVE CHAT is offered in desktop mode only. LIVE CHAT does not work while viewing our site in our mobile version at this time. Just head to the bottom of our site and switch to STANDARD VIEW when using a mobile device. 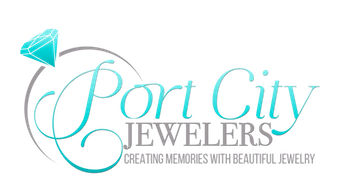 Port City Jewelers offices are located in Hampstead, NC 28443. We operate 100% online and do not have an actual store front (Brick & Mortar) location open to the public at the time.